Australian iron ore majors such as Fortescue, BHP and Rio Tinto have all received a significant boost to their share prices in the wake of Vale’s tailings dam woes. Vale’s equity price, meanwhile, had yesterday fallen by 16.8 per cent in New York to $US11.17 ($15.73) since one of its tailings dams collapsed in Minas Gerais, Brazil on January 25. 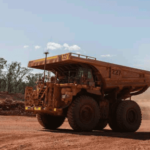 In the same time frame, Fortescue’s share price rose dramatically by just under 28 per cent to $6.14, while Rio Tinto’s rose 14.8 per cent to $92.20. BHP’s share price also rose to a lesser extent by 8.5 per cent to $35.87. Vale has committed to a shutdown of 19 tailings dams in light of the incident in a move that will reduce its annual production by around 40 million tonnes a year. In addition, a Brazilian court has ordered the shutdown of eight more mines (three of which are already on Vale’s list of 19), which could drop production by a further 30 million tonnes a year. The cumulative effect of this lowered production is contributing to an iron price spike in the global market that could result in higher prices among Australian majors. Vale on Wednesday declared force majeure on some of its iron ore contracts following the court order, which affects Vale’s Brucutu mine, the second largest iron mine in the country. 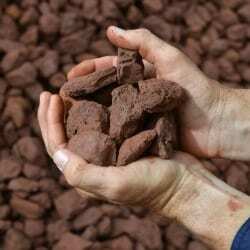 “Vale informs that, as a result of the temporary suspension of the Brucutu mine production, it is declaring force majeure on a number of related iron ore and pellets sales contracts,” the statement read. If the court order is not overturned on appeal, iron ore prices are set to average at around $US80 a tonne in 2019, according to information from Oxford Economics. “Although production has been impacted at the Feijão mine, we still expect strong supply this year due to Australian miners increasing output to make up for shortfalls in Brazilian production,” read the report, which was led by economist Stephen Hare. 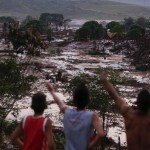 The tailings breach, which occurred at Vale’s Córrego de Feijão mine, has been cited as Brazil’s worst environmental disaster, with 142 people now confirmed dead and 194 more still missing. 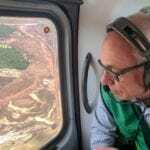 The event comes just over three years after another major tailings dam disaster in the same region in November 2015 at a mine owned by the Samarco joint venture between Vale and BHP.